Thomas and Friends, is one of the most viewed cartoons and preferred by children, so if you have a birthday celebration nearby, you can surprise your little decorating everything with this tender train and his friends. 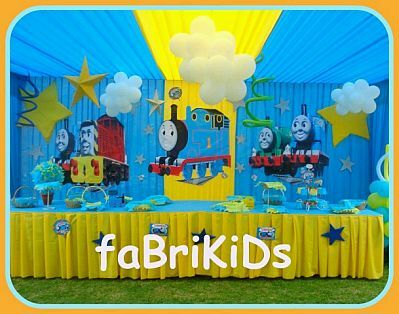 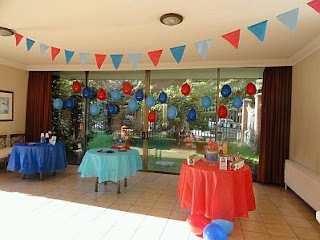 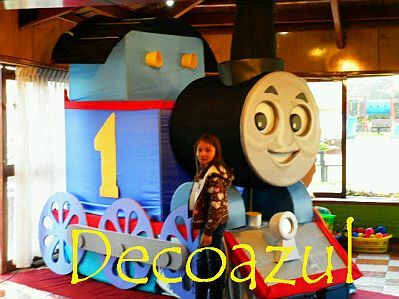 Here are some great ideas that surely will serve to decorate the birthday party of your child. 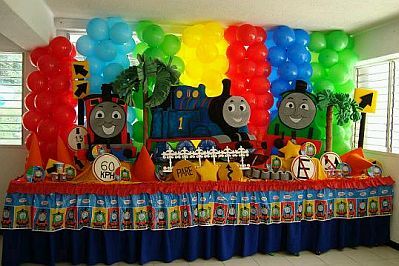 In this first image you Thomas and his friends back in front of a curtain made of columns of multicolored balloons, plus you can use some signs, rails and palm trees to recreate the environments where these characters, experiencing unforgettable adventures. 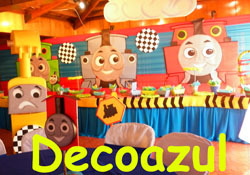 Beauty proposal is a background made with balloons and before the railway Thomas and his friends in 3D. A good option is to use fabric as a background and before placing the images of Thomas and his friends, also if you complement it with stars and clouds, everything is great. 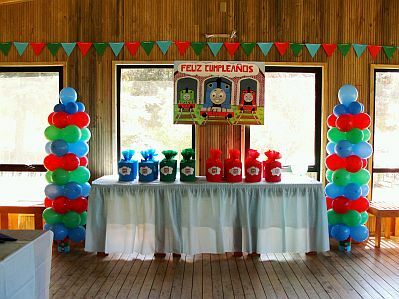 If you prefer something simpler, but just as cute, this is a good suggestion, there are two columns of balloons in the characteristic colors of the cartoon, a flag with the same features and amid a lineup of happy birthday with the image Thomas and Friends. 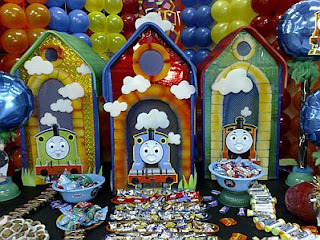 Pretty decoration made based on fabrics and on them the image of Thomas and his friends, some traffic signals perfectly complement the decor. If you can surprise everyone besides recreating Thomas, would be great, because for sure it will be the favorite place for photos. This is another proposal decoration, using a banner and balloons with the characteristic colors of the animated series, the same as are used for the tablecloths on the tables. 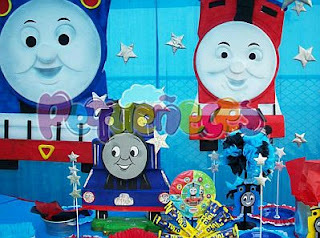 Another decorating idea fabrics based on them are placed the images of Thomas and are complemented with stars and clouds. 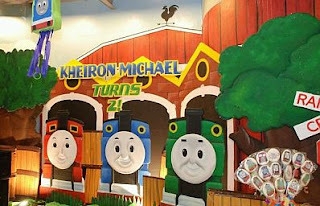 Finally, a work of art with a train station and the characters of Thomas & Friends.